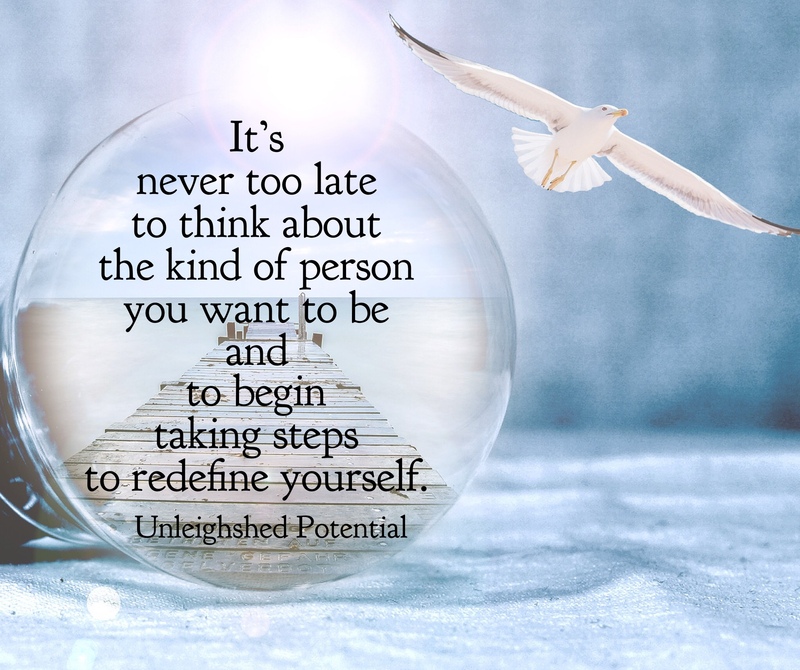 In part 3 of my Change ‘n’ Transformation Series, I delve into how it’s never too late to think about the kind of person you want to be and to begin taking steps to redefine yourself. I woke up in the middle of 35 to find a lethargic, anxious, underactive, and miserable person staring back at me. By the time 36 had rolled around, I found myself in a perpetual state of stress coupled with fatigue. As I conducted a personal inventory of my life, I was shocked by how many negative characteristics I’d adopted over time which were then wearing me down to the point of my crash ‘n’ burn. I wanted calm. I wanted happy. I decided that I was going to have those things by the time 37 came around so that I could look on the subsequent decades of my life without cringing. Having recently completed a good 6 months of readiness work which I talk about here, here and here, I was all awesomned-up and ready to start changing. Problem was, I wasn’t clear on how to begin. I knew I needed a high impact, digestible way to organize my thinking through this time, without the pressures of having to define exactly what it was that I wanted to achieve. See, I’d never set out with any definite plans for what I was hoping to accomplish when I woke up at 35 and I wasn’t about to create one in the thick of the messiness that was about to ensue. Instead of putting a cut ‘n’ paste wish list together of crap I’d never appreciate like a Labradoodle or jet skis (aka, my first ever vision board) or adopting an incongruent fake-it-till-you-make-it-mantra, which had also failed me in the past, I focused instead on the questions of What will make me a better person? or, What kind of person do I want to be? These open ended questions were easy to navigate as I was getting my feet wet in the pools of change and I soon discovered how liberating it was to think about my character opposed to arbitrary life benchmarks. These two questions created for some amazingly reflective dialogues to have with myself and were interesting conversation starters to begin having with my kids too. The question about what kind of person you want to be skirts away from the terrible pressure associated with needing to know WHAT you want to be. Hell, even after all this transformative work I’ve done, I’m not always sure about the what. But WHO? Yes, who I want to be, now that’s a question to which I can clearly articulate an answer which is super consistent with who I’m becoming and feels right to me. So what kind of humany characteristics would you like to exude to this world? I suggest documenting the positive qualities you would like to adopt on something tangible which can serve as a working document as you grow. Pen & paper seems to works best for me in the form of a journal, but honestly, if you’ve got a cave and some charcoal, start where you’re at. Write down your interests, the stuff you have time for and the things don’t. When you look at these items, do you see any common characteristics that exist? Consider how you want your kids, partners, or neighbours to remember you by when the sands of time run out. How do you want people to speak about you when you’re no longer here? Having these lists as a starting point can help you to focus in on the qualities of the kind of person you want to be and keep you centered on your own self-improvement through the day. If you’ve always wanted to be more giving and find yourself with some change in your pockets, drop it into a charity box of some kind. If you’ve thought about being more encouraging and find yourself mindlessly perusing Facebook, positively comment on someone’s post with words instead of an obligatory like. If you’ve wanted to be more involved in your community, offer an hour of your time to help someone out. Over time, this handy little list – by virtue of the fact it exists in the first place- will make you a better, more conscientious human being and you’ll wake up one morning realizing you’re living exactly the way you’ve always wanted to. 35 on the left, 37 on the right. Change is always possible and you’ve got it in you to be your most spectacular self!